Indian air force slowly expanding his wings from primary air defense into major offensive force, with the induction of new generation fighter jets along with better missile systems. The Air force not only conduct air defense missions, also supports the ground troops by neutralizing ground targets, New procurement plans which include Rafale also known as best in terms of ground strike and primary air defense missions. IAF's first ground attack jet is the MiG 23, It's the bomb carrier, still won't hit targets in high precision, mostly it was used for making craters in the fields, the wide application is anti runway missions, taking out enemy runway means they wouldn't able to launch their fighter aircraft's. Nowadays such carpet bombings are not effective due to the raise of low level quick reaction missiles deployed in the air force bases. Jaguar is the first aircraft who comes with guided bombing capability. The Jagaur performed very well in NATO missions in Afghan and Iraq, So did in Indo Pakistani war's too. Specially in the Kargil war. Jaguar is the only certified fighter jet in IAF who can carry nuke bombs. Jaguar won't carry Radar's. however it uses the infrared and laser guidance kit mounted in it's nose. Jagaur also designed to fly very low aided by terrain following guidance system. Some of IAF Jaguar's modernized with Agave radar which will be replaced by Israeli radar. Those are used for maritime attack missions. One squadron of IAF's Jaguar IM armed with Harpoon anti shipping missile. 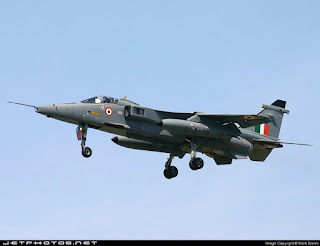 IAF also plans to use the Jaguar till 2035 or the arrival AMCA. With new upgrades of Honeywell Engines and Israeli AESA radar's and newer air to air missiles and Guided bombs which include CBU 105 Cluster Bombs. IAF's key project is arming the Su 30 MKI with Brahmos cruise missile, The Sukhoi is not capable of conducting precision bombing, However Indian MKI can launch Russian made laser guided missiles like Kh 29 and other TV guided missiles with the guidance of Sukhoi's onboard IRST. Adding the long range Brahmos cruise missile makes the Su 30 MKI can strike any targets inside Pakistan from safe distance, the term called Stand off missile strike. Modernized Indian Mirage's are another one who can capable to conduct precision bombing missions. The newer Mirages can capable to strike ground targets with high precision or pin point accuracy. Addition of AASM and PGM in Mirage 2000TI makes one of the best CAS platform in IAF. 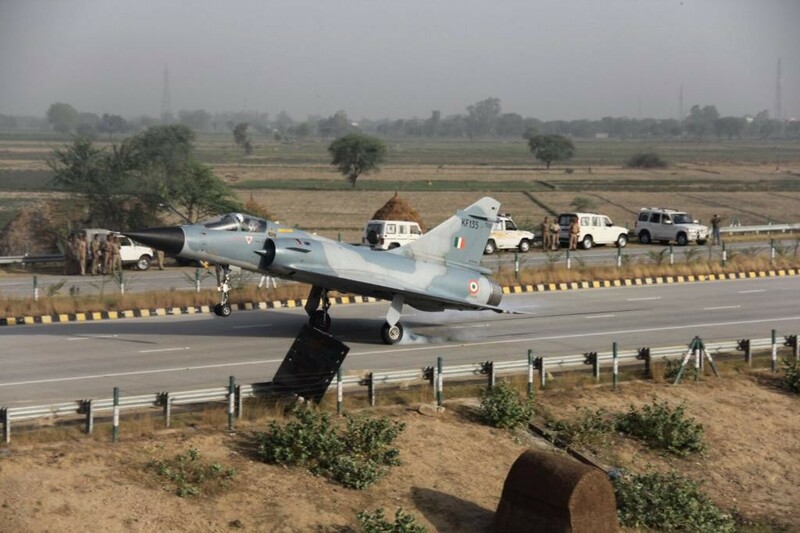 IAF can use the Mirage fighter for bombing close to friendly positions with it's highly reliable bombing capability. Tejas on the other hand also developed in the mind of multi role. ADA make the Tejas to perform all missions in Indian conditions. Who already performed laser guided ammo drop in firing range. 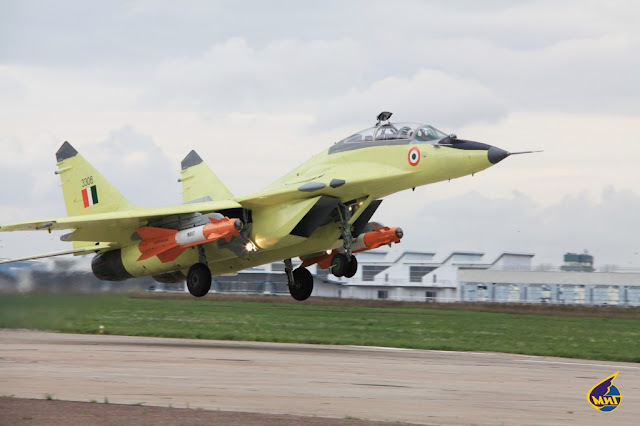 LGB from Tejas can be guided by Israeli made Litening pods. which illuminates laser beam to the target and the bomb. Rafale is the key player who soon to be a part of IAF, also known as best in ground attack, Rafale is one of the best multi role attack aircraft along with F 15 Strike eagle. Rafale already performing missions in Afghan, Iraq Syria and Mali. Rafale's air power can be calculated in Baltic air policing missions and combat exercise with US fighter jets. All the said above fighter jets are better in terms of Aerial war fighting too, Nowadays due to the technology overlap, the one who identify the enemy and launch his missile first always wins the combat, Modern missiles are jam proof more agile and high speed than the fighter jets. IAF is known as one of the best air to air missile arsenal, It have missiles from Europe, Israel and Russia, IAF fighter jets already employed modern air to air missiles like ASRAAM, MICA, Derby, Python, and all kind of Russian missiles. A combination of Two variety of any above fighter jets networked with Phalcon AEWCS can kill any large modern column of enemy fighter jets. The above points are clearly showing IAF changing it's primary air defense missions into multi role combat capable fleet. who is already in operational.